Gather friends and family together and partake in a Seder, a symbolic meal that marks the beginning of the Jewish holiday Passover and tells the story of the Israelites’ escape from slavery in Egypt. This year, Passover starts the evening of Friday, April 19, 2019. Some New York restaurants will host special dinners, while others offer ready-to-serve meals that should be ordered in advance to take home. 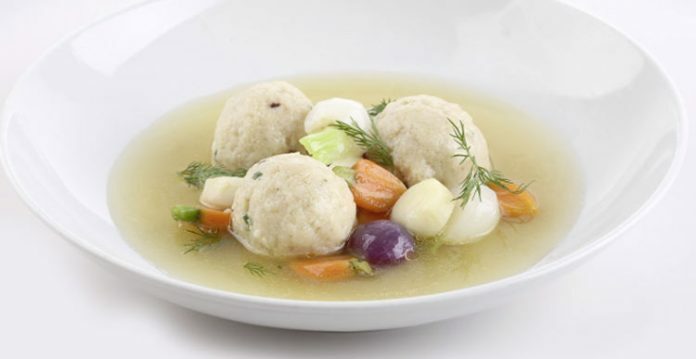 Learn more by contacting the establishments on GAYOT’s Top Passover Restaurants in New York. 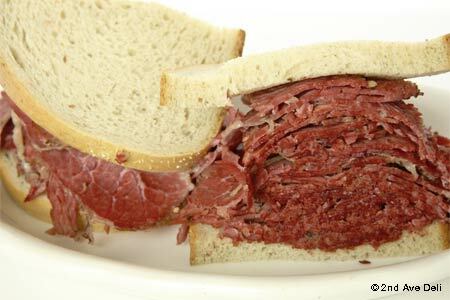 Also, check out GAYOT’s Best Kosher Restaurants in New York. > The selections are presented in alphabetical order. 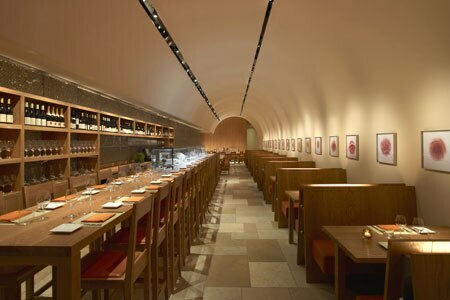 Bar Boulud, Daniel Boulud’s chic wine bar, offers a few specials in honor of Passover, including matzo ball soup, potato latkes (with Daniel Boulud’s smoked salmon), braised brisket Bourguignon and chocolate mousse with toffee matzo and coconut macaroon. 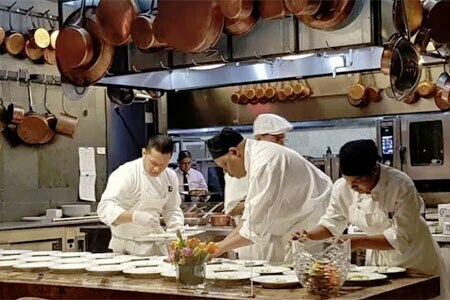 Bouley Test Kitchen, an events space that is part of Bouley at Home, will host a Seder dinner led by Rabbi Deborah A. Hirsch. The evening starts at 6:30 p.m. and includes Kosher wines and the multi-course dinner created by chef David Bouley, plus a reception with passed canapés and Passover music on piano. Pricing is $225, plus tax. 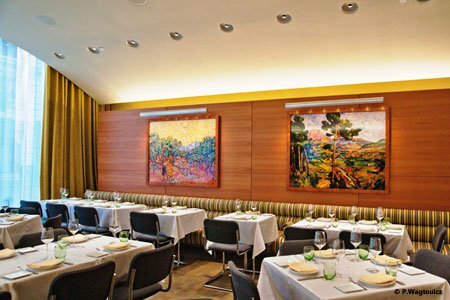 On the Upper West Side, Boulud Sud will present a three-course prix-fixe Passover menu ($95) for dinner on April 19 and 20 (everyone at the table must order the menu). Choices include Moroccan spring carrot salad, braised Niman Ranch brisket, and coconut macaroon gâteau. The regular dinner menu will also be available. 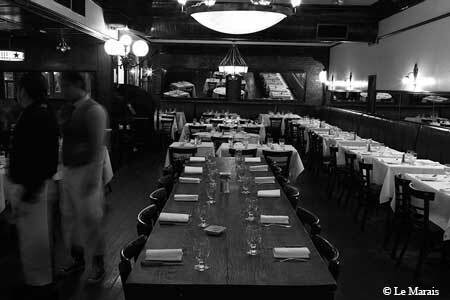 The Theater District’s Le Marais will offer à la carte options on its Passover menu. Look for salmon gravlax and cucumber salad ($19.50), beef braised in red wine ($35) and free-range roasted half chicken ($32). Check for the restaurant’s Passover schedule. Mile End’s Passover catering menu is available from April 18-27, 2019. Among the offerings are matzo ball soup, chopped liver, braised brisket, kugel, latkes and flourless chocolate cake. Orders must be placed three days in advance by noon. 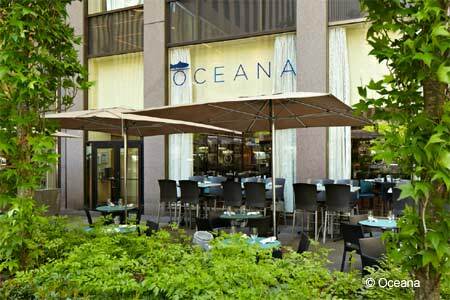 At Oceana, guests can enjoy a four-course prix-fixe menu for Passover on April 19 & 20, 2019. The cost is $95 per person, plus $50 for optional wine pairings. Courses include slivers of Arctic char with pickled beets and spring onion, bitter green and potato salad; roasted and braised chicken with olives, spicy chickpeas and chard; and flourless chocolate cake with coconut sorbet. 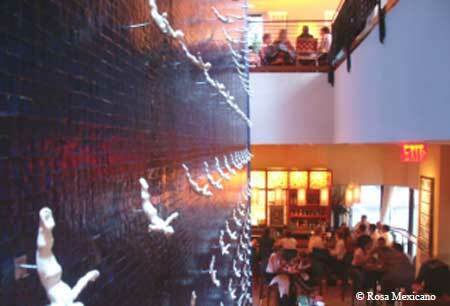 Rosa Mexicano on the Upper West Side will offer a four-course Mexican Passover dinner menu on April 19 and 20 ($55 per person; everyone at the table must enjoy the menu). 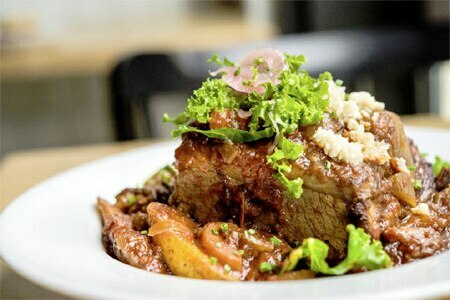 Pick from dishes such as cream of chicken and guajillo chile soup, and banana leaf-wrapped barbecued beef brisket. 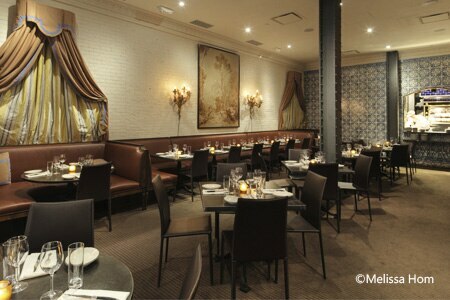 Rôtisserie Georgette presents a three-course prix-fixe menu for Passover for $85 per person ($45 for children age 10 and under). Choose from such dishes as crisp potato pancake with apple compote and crème fraïche; roasted half chicken; and bittersweet chocolate soufflé. These holiday dishes are also available à la carte. Order a Passover Seder for 12 people from 2nd Ave Deli ($500 if ordered before April 10, and $525 after April 10). Among the choices are mini potato pancakes with applesauce, and beef brisket with gravy. À la carte selections for the holiday are available, too. Orders can be picked up at either location (162 E. 33rd St. or 1442 First Ave.). The last date for delivery is Thursday, April 18. 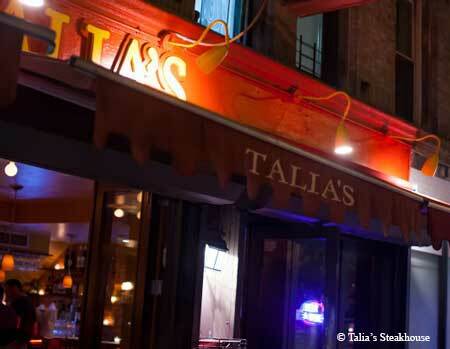 Talia’s Steakhouse will be open for both Seders and for lunch and dinner during Yom Tov, Chol HaMoed and Shabbat. During Chol HaMoed, a Glatt Kosher buffet ($65) features dishes like matzo ball soup, Greek salad, chicken wings, vegetables, beef brisket, lamb goulash and more.